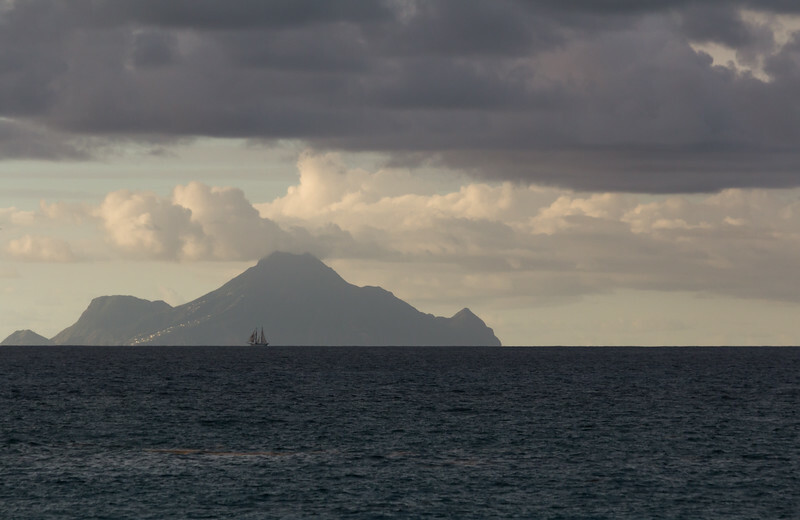 I was at the beach in St. Martin when I looked over to Saba and happened to see the large sailboat passing Saba. The light shining on the island vs. the stormy foreground made this special. The small island of Saba is a special municipality of the Netherlands with a population of about 2,000.